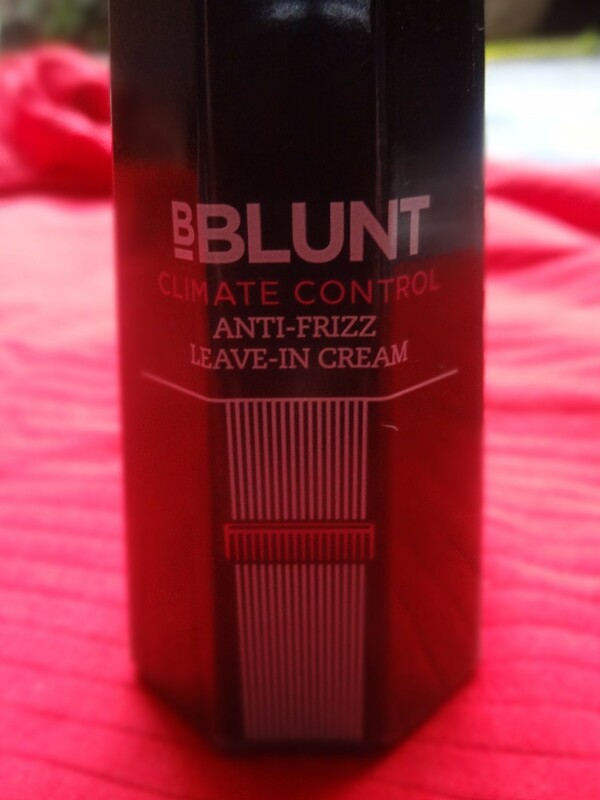 Hey girls, now it’s time to shine with the new Climate Control Anti-Frizz Leave-in Cream by BBlunt. It comes in a sleek black bottle with a pump-up nozzle and when I opened the black bottle to see what was inside, the velvety white liquid smelt so luxurious like a hair perfume. After falling in love with the fragrance, I thought it was perfect for styling my damaged, dry & rough hair with the frizz in my split ends concealed & my hair to feel great, lovely & smell lovely too. Claims: This versatile cream ensures your hair looks great, however hot, dry or humid it gets out there. It enhances natural movement, smoothens and leaves you in charge, whatever the weather. How to apply: Take a small quantity into your palms. 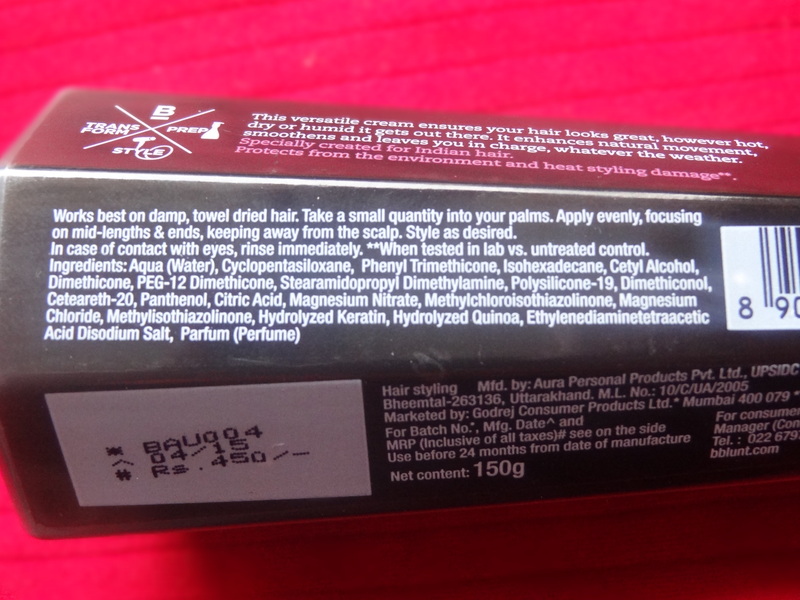 Apply evenly on damp, towel tried hair, focusing on mid-lengths & ends, keeping away from the scalp. Style as required. 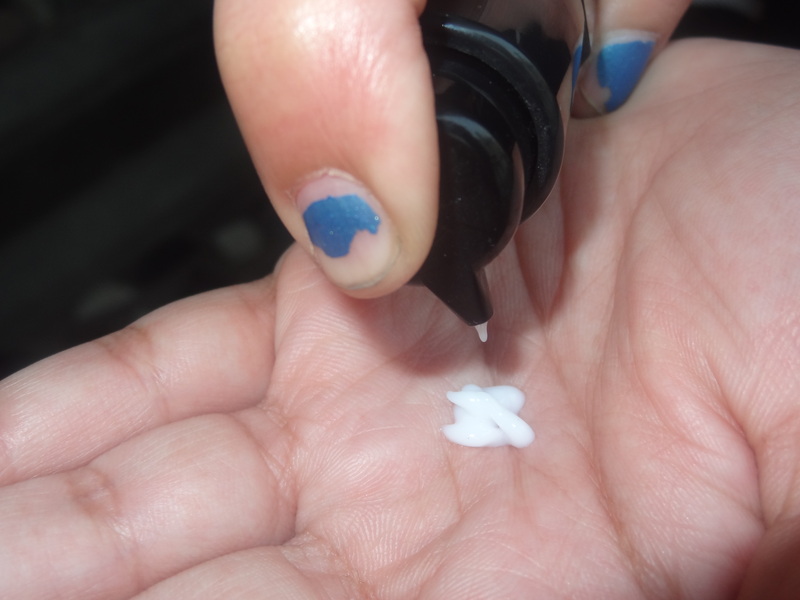 I smudged some quantity of the serum within my palms & applied it in my freshly washed curly & slightly damped hair. My hair smelt lovely & I styled my hair with the dryer & pressing rod. You can just style your mane as you wish & after styling you’ll see your hair is soft & manageable without the tangles. My hair looked fresh, vibrant & perfect for going out on a date with the anti-frizz protecting the fly aways as it set my hair in place making it shiny & lustrous. I felt like treated by a wonderful spa product as the whole experience was like a spa treatment & the result was awesome as my hair was styled with ease at home with my own hands conveniently & luxuriously. I think it is a lovely product plus you use it in very less quantity hence it will last long. It’s a great buy and a must have in every girl’s cupboard. Don’t miss this one girls as this will surely leave you smiling at the end of the day. You will feel good & confident with your styled hair and yes within confines of your home. With little maintenance and overdose of style, my hair looked great plus smelled wow. It shined with the BBlunt range which defines class, luxury & confidence of today’s woman who is always running short of time.